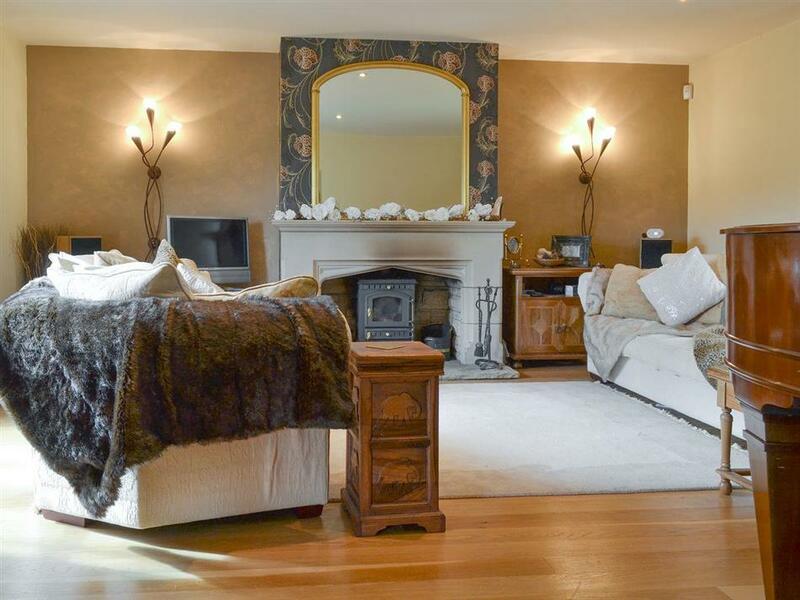 Ornella View in Mickleton, near Middleton-in-Teesdale, County Durham sleeps 10 people. 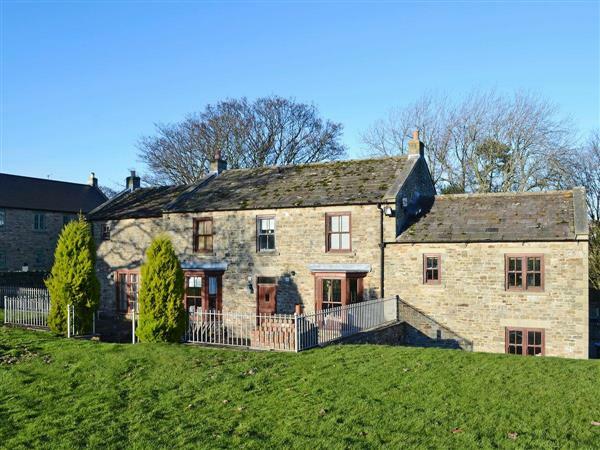 Ornella View near Middleton-in-Teesdale is in an elevated position overlooking the hills and valleys of Teesdale; Ornella View is a detached cottage, nestled in a perfect location for guests wanting to really explore the countryside of County Durham. Well-loved as a family home, Ornella View offers a comfortable and welcoming atmosphere with plenty of space for larger groups of guests. On the ground floor are two spacious living areas, each with ample space for the whole family. In the main living room, guests will find a cosy wood burner and comfortable sofas as well as an open plan dining area and in the sitting room there is a large TV and plenty of space to relax. Families will also enjoy the added bonus of a games room in the garage which houses a pool table, dartboard and sofa. The kitchen is well equipped and perfect for those family celebrations too. On the first floor guests will find a large family bedroom which offers a double bed and two full size single beds which is ideal for parents with small children. There is also a double bedroom, twin bedroom and further double bedroom with an en-suite shower room. The family bathroom has a bath and a separate shower cubicle. Guests will find ample garden space around the property with a lawned area to the rear and ample garden furniture for those sunny days. Perfect for walkers of all abilities, the area offers an abundance of established public footpaths and walk ways that pass through the village and out beyond through Areas of Outstanding Natural Beauty including the North Pennines and many of the pretty villages in Teesdale. The Mid Teesdale circular walk and the Pennine Way are both close by and offer guests the most perfect opportunity to really enjoy the natural delights of the area, culminating in a trip to the spectacular Low Force Waterfall which is the first of a series of waterfalls to explore. Also perfect for cyclists, the area is well known for its many cycle routes and off road opportunities. Only 2 miles away is the the popular village of Middleton–in–Teesdale where guests will find a thriving area with many amenities including excellent local pubs and restaurants, as well as a local shop and market place. A little further afield but still along the path of the Teesdale Circular Walk, guests will be able to stop off at Eggleston Hall for a spot of lunch in the very popular tea rooms. Guests can wander through the beautiful gardens which cover 4½ acres and includes a stream and stunning views of the fells. Perfect for families, there are many attractions for guests of all ages within a thirty minute radius. Barnard Castle and The Bowes Museum are only 8 miles away and certainly worth a visit, Stanhope for The Dales Visitor Centre and Killhope for the Lead Mining Museum are both within a 30-minute drive away. Bishop Auckland, which is home to the annual Kynren Spectacular, can also be reached within a 30-minute drive and is a must see for families staying at Ornella View between July – September. The cathedral city of Durham and the majestic Lake District are both reachable in around a 45-minute drive too. The shop is 2 miles from Ornella View near Middleton-in-Teesdale, with the pub and restaurant 1 mile from Ornella View. Kitchen/dining room: With electric oven, gas hob, fridge/freezer, dishwasher, washing machine and tiled floor. Sitting room: With 40’’ Freeview TV. Bedroom 2: With double bed and twin beds. Oil central heating, gas, electricity, bed linen, towels and Wi-Fi included. Initial fuel for wood burner included. Welcome pack. External games room with pool table and dartboard. Large lawned garden with sitting-out area and garden furniture. Hot tub for 6 (private). Bike store. Private parking for 3 cars. No smoking. Holidays at Ornella View run from Friday to Friday. Pets allowed at Ornella View. For a better idea of where Ornella View is, you can see Ornella View on the map below. Ornella View is in Durham; should you be on the lookout for a special offer, you can find all the special offers in Durham. It's always worth checking to see what is on offer at the moment. Do you want to holiday near Ornella View (UKC2692), you can see other cottages within 25 miles of Ornella View; have a look to find your perfect holiday location.